TeslaWal-Mart is the most high-profile customer for Tesla’s electric trucks so far. Wal-Mart will be among the first companies to try Tesla’s new electric trucks. The retailer plans to test them in the United States and Canada. The trucks have impressive design, speed, range, and technology specs. The competition between Wal-Mart and Amazon may have a new wrinkle. 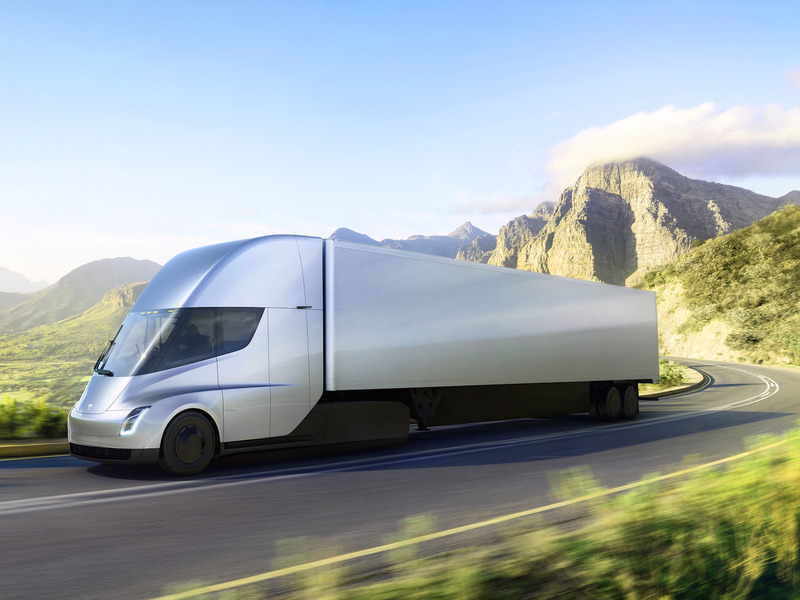 After Tesla introduced its electric truck, the Semi, on Thursday night, Wal-Mart said that it will purchase and try out some of the trucks in the United States and Canada, according to CNBC. “We believe we can learn how this technology performs within our supply chain, as well as how it could help us meet some of our long-term sustainability goals, such as lowering emissions,” the company said to CNBC. In recent years, Wal-Mart has made substantial investments in its quest to compete with Amazon, including its purchase of Jet.com and tests of an online grocery delivery service with Uber and Lyft. Tesla’s Semi has an impressive list of features, including a 500-mile range per charge, technology that allows it to travel autonomously in a group of other Semis, and the ability to go from 0-60 miles per hour in five seconds when there is no trailer attached. It can also hit the same speed in 20 seconds when it is hauling 80,000 pounds of cargo. What’s more, the vehicle can charge 400 miles in just 30 minutes when using one of Tesla’s new high-speed Megachargers. Tesla has also decked the vehicle out with high-tech details including a windshield made of glass that doesn’t break upon impact and a regenerative braking system that Tesla claims will not ever break down. In fact, Tesla guarantees that the truck will not break down for one million miles. Tesla is currently taking reservations for the vehicle for $US5,000.